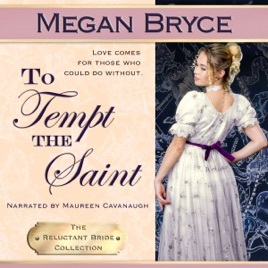 Welcome to Megan Bryce's Regencyland, where ladies with backbone get what they want. Where a woman can thumb her nose at rules and care little for convention, and yet somehow, unexpectedly and almost reluctantly, find love. Honora Kempe lost everything after her fall from grace - her family, her life, a future. Now, hell hath no fury like a disgraced vicar's daughter and she is determined to get back what was hers. By hook or by crook. Man by man. Lie by lie. Until one man makes her wonder if love really can heal all pain.